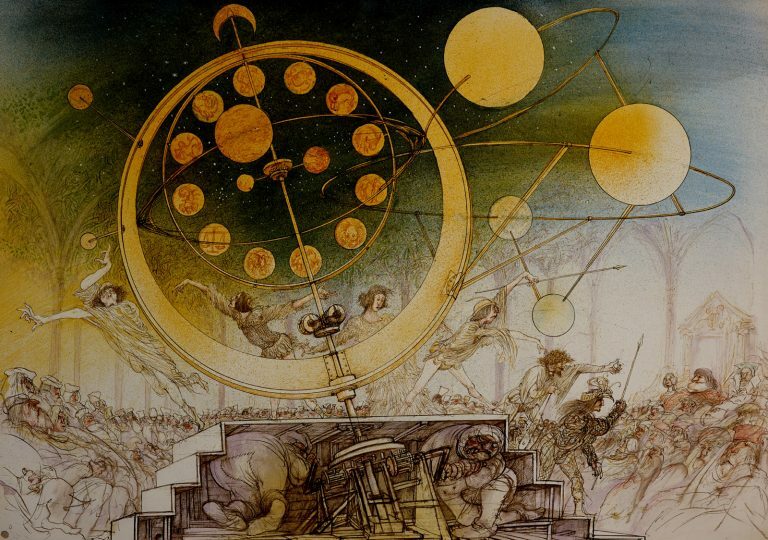 Ralph Steadman's Obsession with Leonardo da Vinci led him to Italy - to stand in the places where genius stood and relive the sensations which preoccupied a mind that yearned to fly. 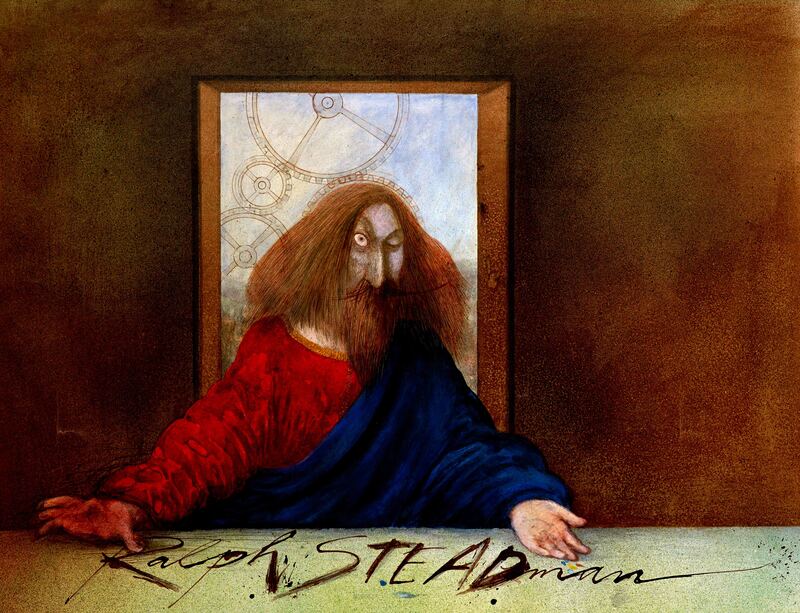 In his distinct, ingenious and anarchic style, Steadman presents key events from the life of Leonardo: among them the painting of the Last Supper, the Mona Lisa and his experiments with flight. 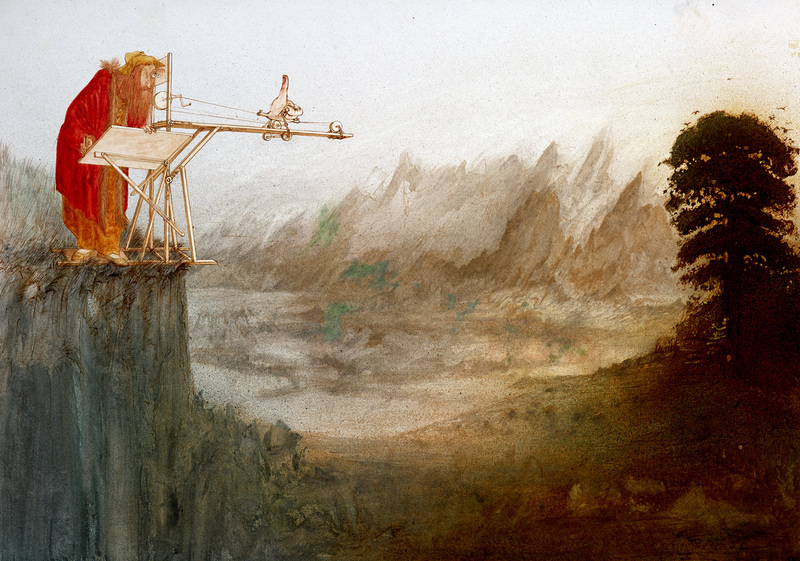 The result is a work of sustained brilliance and a triumph of imagination. 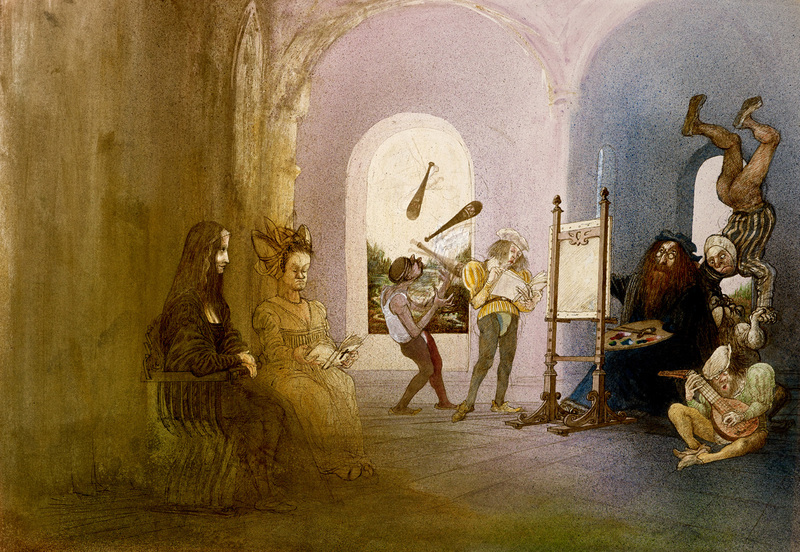 To help him get into his hero's mind Steadman undertook to recreate three things that Leonardo had done. He Built a flying machine from an old nylon tent and bamboo, he walked on water at the Sea of Galilee and he painted a 1/3 copy of the Last Supper on his bedroom wall.